This is the look I had when we went to Bulacan for my tita's birthday last Sunday. I was all femme and proper that day and so is my makeup. As you can see, I'm wearing a bow headband again. I so love bow headband, it's makes someone look young and it reminds me of Blair Waldorf from the Gossip Girl TV series. I loved the book and I loved the TV show as well. Anyway, enough of the Gossip Girl talk and let's go on to my FOTD (Face Of The Day). We all need to use a moisturizer first before anything else. This is my new new day moisturizer so I want to include this in my FOTD. It actually has spatula which makes it easier for you to apply without dabbing your finger inside of it. After applying this, I applied the Beauty Treats foundation using my new and favorite brush from Charm Pro. It's a stippling brush and I'm so loving it right now. After evenly applying the liquid foundation, I then set it off with the Ever Bilena Loose Powder. For the eyes, I lined my brow using the Ever Bilena Color Pencil; then, I used the gray shade from the Love & Beauty Smokey Palette on my lids, The black shade on my crease and the white shade on my brow bone. To make my eyes look less tired (because I always sleep late) I used the white eyeliner on my waterline. It will make your eyes look bigger and less tired. After curling my lashes, I used the L'Oreal Voluminous Naturale mascara to create a thicker look for my lashes. 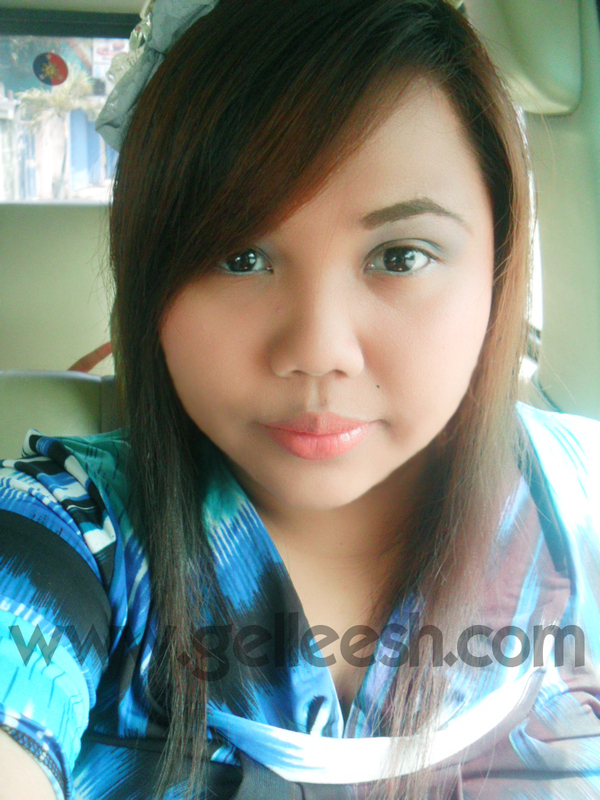 For my blush, I used the Ever Bilena Single Blush-On applying it slantly upward to make my face look thinner. Haha! Then, for the lips, I applied the Watsons Moisturizing Lip Balm, then the MAC Satin Lipstick in Mocha for a natural and subtle look. i like that way you did your brows! i love you make up...im so following you..
by the way check out my blog and join my blog giveaway..